Fred Halliday, a worldwide respected academic specializing in international relations and the Middle East, with particular reference to Iran, notes that in essence, Islamism − the organized political trend owing its modern origin to the founding of the Muslim Brotherhood in Egypt in 1928 - saw socialism "in all its forms as another head of the western secular hydra; it had to be fought all the more bitterly because it had such a following in the Arab world, in Iran and in other Muslim countries." Islamists learned and borrowed much from their secular rivals: anti-imperialist rhetoric, systems of social reform, and the organization of the centralized party (a striking example of which is Hezbollah in Lebanon). The hostility of Islamism to leftwing movements deserves careful study. Halliday remarks that since the 9/11 attacks there are signs of a developed and politically articulated accommodation in many parts of the world between Islamism as a political force and many groups of the left. The latter consider "some combination of al−Qaeda, the Muslim Brotherhood, Hezbollah, Hamas, and (not least) Iranian president, Mahmoud Ahmadinejad" as a new form of international anti-imperialism that matches their own historic project and thus does not compromise the impulse to "objectively" support or at least indulge them. The trend is unmistakable, claims Halliday, and one of its sings is the Venezuelan leader Hugo Chavez who "flies to Tehran to embrace the Iranian president." In a recent article, Iran and its proxy Hezbollah - Strategic Penetration to Latin America, this author mentioned the fact that Iran tries to advance its "revolutionary" credentials by building an "axis with revolutionary regimes" in Latin America, especially with Chavez's Venezuela and Morales' Bolivia. Is Ahmadinejad winning a new ally on the Latin American front? The Iranian president prepares to strengthen Iran’s Latin America ties with a visit to Brazil on 5-6 May 2009. Many Latin America watchers expect the Brazil visit to represent the first significant advancement of ties between the two countries in the areas of commerce and energy. In Brazil, whose history with Iran is a relatively short one, President Luis Inacio “Lula” da Silva seeks to maintain a transparent, business-oriented posture. According to the Iranian ambassador to Brasilia, the note issued by the Brazilian government expressing its "concern" over Ahmadinejad's controversial statements on Israel during the April 2009 United Nations anti-racism conference in Geneva would not affect bilateral relations. But the Brazilian radical left is less cautious. The pro-Iranian Estado Anarquista website is warmly welcoming Ahmadinejad's visit declaring that "Brazil, at the difference of the United States is a free and independent nation that cannot be manipulated." Among the signs of this "rapprochement" between the Latin American leftist regimes and Iran, there are the attempts to stress the affinities and common goals and enemies of the two ideological camps. For instance, the pro-Iranian blog Imperialism and Resistance is trying to combine the leftist revolutionary rhetoric with the Islamist ones and gives an important space to Latin American news. The more popular leftist trend is present in Argentina in the cooperation of Quebracho, a small Argentinean militant group, with pro-Iranian Shiite organizations and the Iranian embassy. The Patriotic Revolutionary Movement (Movimiento Patriótico Revolucionario - MPR) Quebracho affirms to be a political organization fighting for “a socially just, economically independent and politically sovereign country” for the “National Antiimperialist Revolution”. In the same vein Iran's proxy, Hezbollah, has decided to jump on the antiglobalization bandwagon and sponsored The Beirut International Forum for Resistance, Anti-Imperialism, Solidarity between Peoples and Alternatives (16 - 18 January 2009) with the participation of 30 delegates from Venezuela - members of parliament, unionists and youth from both the United Socialist Party (PSUV) and the Communist Party of Venezuela (PCV). César Montúfar commented that there is an obvious lack of coherence in the behavior of the Iranian president and his government, which is deepening its ties with the leftist governments in Latin America while it wages an implacable repression against its own leftist groups at home. It is interesting to note that in Iran itself a group of students has criticized Ali Larijani, the chairman/speaker of the Iranian parliament, and President Ahmadinejad for the support they give President Chavez of Venezuela. The truth is the Iranian left and far left organizations and groups are repressed and persecuted by the Tehran theocratic regime since its coming to power, and more so since the Islamists of the Khomeinist party succeeded to get rid of the leftist revolutionaries who helped them take control of the state. According to Torab Saleth, an Iranian socialist activist and a prominent member of Workers Left Unity Iran, the Iranian Revolution is wrongly portrayed as an uprising led by Islamic fundamentalists against the discredited regime of Mohammed Reza Pahlavi. Actually, the Iranian Revolution was the result of a genuine social dynamics of the mass democratic movement that rose against the Shah and progressive women’s and workers’ organizations within it had a leading role. The insurrection on February 10, 1979 came about in a way not predicted by anyone, including the supporters of ayatollah Ruhollah Khomeini, which were so surprised that, many hours into the insurrection, they were still telling their people to go home because “the imam has not ordered an uprising”. Saleth claims that the Iranian Revolution has been "rebranded" by a number of left currents and in spite of being a corrupt, clerical-capitalist regime it is presented as anti-imperialist via Ahmadinejad’s government, and because of its support for Hezbollah and Hamas. But this interpretation of the revolution as "Islamic" forgets a few simple historical truths. The masses were only later "persuaded" that the revolution they undertook was in fact "Islamic". Attacks on revolutionaries by mobs associated with Khomeini’s leadership started even before the new regime was established. With the mullahs in power, attacks became open and daily. "First the strikes were ordered to end. Soon after, the veil was forced on women. The free press was shut down, one by one. National minorities were attacked - first the Arabs in the south and then the Kurds. Socialist oppositionist parties were banned. Scores of revolutionary activists were arrested." Yassamine Mather, a member of the editorial board of Critique, Journal of Socialist Theory, sustains that when Ayatollah Khomeini arrived in Tehran, former ministers and officials of the Shah’s regime were hanged in the religious city of Qom instead of receiving open trials. The atmosphere of terror created by these executions was intended to warn other potential opponents, in particular the left that the new regime was going to be as ruthless as its predecessor. The new regime’s first political prisoners were arrested in April 1979, when well-known left-wing activists were incarcerated in the notorious Evin prison. The radical left was forced into hiding. By January 1980, many leftist activists had been arrested in Tehran and other major cities, and summary execution of political prisoners became common practice. Thus, from the first day in power, the Islamic regime began not only a total rollback of all the gains of the revolution, but also a retreat into Iran’s reactionary past - crowned a few years later with the execution of around 40,000 political prisoners. Throughout this period, and until their own demise, the reformist sections of the left — mainly pro-Soviet Stalinists but also sections of the Trotskyist movement — supported and indeed collaborated with the Islamic regime’s repression. The second wave of political repression in Iran came at the end of the Iran-Iraq war, with the mass execution of around 15,000 socialists, communists and members of the Mujahedin who were in prison. Peter Gary Tatchell, a British human rights activist, accuses a whole section of the left that it abandoned the freedom struggle in Iran. This left ignores, downplays or apologizes for the excesses of "the tyrants in Tehran." For instance the Campaign for Nuclear Disarmament invited the Iranian ambassador as a guest speaker to its 2005 annual conference. It preferred to host "the representative of an Islamo-fascist regime," rather than the leaders of Iran’s left-wing opposition and anti-nuclear peace movement. A similar fate befell Iranian refugees who joined the Stop the War Coalition marches. When they backed the call “Don’t Attack Iran” they were welcomed, but as soon as they also condemned Tehran’s despotism they were denounced and expelled from the demonstration by thuggish stewards. Tatchell decries the fact that Iran ayatollahs' history of repression is as bloody as Franco’s clerical fascist regime in Spain but sadly it merits far less outrage by the left. According to him, the government of President Mahmoud Ahmadinejad is also pursuing a racist, neo-colonial policy against Iran's minority nationalities, such as the Arabs (who are abused even more harshly than the Israelis abuse the Palestinians), Kurds and Baluchs. The Student Movement and the Cultural Revolution. After the election of Abolhassan Banisadr as the first president of the Islamic Republic (IR), universities continued to be a hotbed of activism, influenced by the secular groups, especially the leftist organizations, as well as their Western educated teachers. In order to establish an Islamic government, clerics felt the need to neutralize the influence of secular currents and their respective student supporters in universities. In February 1980, the Ministry of Interior issued an order banning "activities of all political groups in universities" and demanding that "cultural activities by students" must conform to the government and university regulations. Ayatollah Khomeini criticized universities for giving refuge to professors and students "who were dependent on the East and West, and opposed the Islamization of universities." A week after his speech, the Technical University of Tehran was forced to close and several universities were taken over by the Islamic Student Associations. Supporting attacks on student groups, President Abolhassan Banisadr termed these developments "a Cultural Revolution." For more than two weeks, there were bloody clashes among Hezbollahi elements and students of different political persuasions, hundreds of students were injured and several were killed in clashes, in line with the orders from Ayatollah Khomeini. In June 1980 all universities were shut down and remained closed for over two years. During this period many activist students and faculty members were fired and/or arrested for their affiliations with political groups. This was the end of the independent student movement in Iran. After the failure of the so-called "reform movement" during the first term of the Khatami presidency (1997-2001), great changes happened within the universities' Islamic and reformist groups. The university students' epic uprising for democracy took place in July 9-13th 1999, at a moment when the student movement, which suffered from the influence and control of the Islamic Republic's ruling apparatus, came to full grasp of the fact that the realization of its democratic ideals and objectives were only possible by radical and fundamental critique of the "reformist" current, which failed to reform the system of Islamic Republic due to existence of unbreakable bonds that they enjoyed with the system. The background to this event was the Central Council of the Students’ Islamic Society at Tehran University protest against the closure of the reformist newspaper “Salaam” and parliament’s passage of a new law limiting freedom of the press. On the hot summer night of July 8, 1999, during an incredible period of student unrest that lasted nearly five days and shook the regime, a Tehran University dormitory was attacked by plainclothes police forces and paramilitary elements calling themselves Comrades of Hezbollah (Ansar-e Hezbollah). The forces broke down doors, shattered windows, set fire to students’ beds and personal belongings and even threw some of them out of windows. At least one person was killed. Many others were injured. The students’ demonstrations, which until then had been limited to the campus area, spread into the streets. Many ordinary Tehran citizens joined them. And the police showed no restraint in crushing the demonstrations. The reformist government of then-President Mohammad Khatami faced a serious crisis. Some of his close associates sided with the students. Khatami eventually condemned the attack and urged students to use moderation and not offer any pretext to antireformist elements. Then, the supreme leader Ayatollah Khamenei publicly asked members of the Basij paramilitary force not to resort to violence or react harshly to the student protests. The case of the dormitory attack later went to a special court, but nobody was indicted or punished for the killing or attacking the students. The events of July 1999 made the student movement independent of both main currents of Iranian politics - the conservatives and the reformists, who showed weak support for the students. The first term of the "reformist", "moderate" President Khatami saw also a bloody repression of his movement's supporters. A series of killings of intellectuals and writers who had been critical of the Islamic Republic system, known in Iran as the “serial murders” were perpetrated by the highest authorities of the Ministry of Interior. A variety of methods were used to kill the victims — car accidents, stabbings, shot in staged robberies, injected with potassium to simulate a heart attack. The killings spanned over several years and the victims included more than 80 writers, translators, poets, political activists, and ordinary citizens. The murders came to a head in late 1998 when three dissident writers, a political leader and his wife were murdered in the span of two months. In a well-documented report released in December 2005, Human Rights Watch accused the then Iran’s Minister of Interior, Hojjatoleslam Mostafa Pour-Mohammadi, of involvement in serious and systematic human rights violations over two decades, including from 1987 to 1999, when agents of the ministry systematically engaged in extrajudicial killings of opposition figures, political activists, and intellectuals. On June 20, 1999, the prosecutor of the Judicial Complex for the Armed Forces announced that the mastermind behind the serial killings was a high-ranking official of the Ministry of Information, Sa’id Emami, and that Emami had committed suicide while in custody. What happened in Iranian universities during the summer of 1999 has laid the foundation for further disturbances that can only be prevented by a genuine democratic process, not by political manipulation and restrictive rules. Indeed, more recently, over forty student activists have been detained by the Iranian regime in December 2007, a day of student protest in Iran for many years against the theocratic-capitalist regime of the Islamic Republic. Activists were arrested in the run up to the day of action, and following the demonstrations and actions which took place in a number of cities. Many have been imprisoned in Tehran’s notorious Evin prison and have been subjected to torture. In addition to students, hundreds of libertarians and rights activists are languishing in the jails of the regime. Following was an intense crackdown on the Iranian workers’ movement and the brutal victimization of leading trade unionists such as Tehran busworkers’ leader Mansour Ossanlou and Saqez bakers’ union activist Mahmoud Salehi. The Iranian regime is acutely aware of the growing alliance between Iran’s workers’ and student movements; and is using the threat of a US attack to legitimize itself and step up its repression of dissidents. In a new wave of attacks on students, members of Students for Freedom and Equality in Iran (SFEI) were arrested in October 2008. The Islamic regime fabricated evidence in order to arrest activists, who are accused of organizing demonstrations on Student Day, May Day, Women's Day, etc. Amir Mohsen Mohammadi, a well known journalist, was the first to be detained. The regime’s crackdown includes the enforcement of harsh morality laws. In 2004, in the city of Neka, a 16 year old girl, Atefah Rajabi Sahaaleh, who had been raped and sexually abused by men for many years, was convicted of “crimes against chastity.” She was hanged by the method of slow, painful strangulation, hoisted by a crane in a public square. In the October 2008 report submitted to the U.N. General Assembly, the Secretary-General Ban Ki-moon said he is concerned about a growing crackdown on the women's rights movement, and he said gender-based violence is "widespread." He also said that there has been a recent surge in executions, even though Tehran has been revising its death penalty policies. He praised some positive steps that the Islamic Republic has taken to change laws that discriminate against women, but said Iran needs to try harder to protect the rights of religious and ethnic minorities, including members of the Bahai faith. Hundreds of Bahai followers have been jailed or executed in the Islamic Republic. However, on January 4, 2009 the offices of the Center for the Defense of Human Rights in ‎Tehran were closed by government agents because the group planned to organize an event on the occasion of the ‎60th anniversary of the Universal Declaration of Human Rights. Shirin Ebadi, an Iranian lawyer, human rights activist, founder of Children's Rights Support Association in Iran and Nobel Peace Prize winner was present on the scene at the time. Behzad Sohrabi, a leading Labor, anti-imperialist and anti-war activist and member of the "coordinating committee" working towards the setting up independent workers organizations in Iran was arrested on January 31, 2009. Political prisoners in Iran live in the worst of conditions. Many of them have lost function in parts of their bodies as a result of the medieval tortures. The prisoners are constantly harassed, their cells raided and their belongings are looted regularly. Many political prisoners are kept in solitary confinements for prolonged periods. Political prisoners are transferred to the cells of heavy criminals, where every month at least one person is reported dead in fights. Thus the authorities find an excuse for the sudden death of the political prisoners. The police-state oppression in Iran is some of the worst in the world. According to Human Rights Watch, in March 2008 an Iranian parliament member, Hossein Ali Shahryari, confirmed that 700 people were awaiting execution in Sistan and Baluchistan province, which is only one of Iran’s 30 provinces. Reversing César Montúfar's comment that there is an obvious lack of coherence in the behavior of the Iranian regime in deepening its ties with the leftist governments in Latin America while it wages an implacable repression against its own leftist groups at home, one should ask where is the coherence of the leftist governments, parties and movements in Latin America, and elsewhere, while they actively or passively support the Tehran theocratic brutal regime. Perhaps the best answer lies in the avowal of Peggy Seeger, American folk singer and human rights activist: "I have never understood how people who consider themselves socialist, communist, anarchist or whatever can have any truck with religion - especially religious fundamentalism. Bigotry is wrong wherever it comes from and whatever the skin colour of those spouting it! Furthermore, I entirely reject the crapheaded philosophy of 'the enemy of my enemy is my friend' - if the enemy of my enemy denies women basic rights, brutalizes gays and locks up/imprisons/tortures/kills radical leftists. Religion is a dead end, and fundamentalism is a right wing dead end. People with 'Caliphate Now' banners on anti war marches? No thanks! Lefties in 'I love Iran' T Shirts? No thanks!" Fred Halliday, "The Left and Islam," openDemocracy website, September 8, 2006, at http://www.opendemocracy.net/globalization/left_jihad_3886.jsp. See Ely Karmon, "Iran and its proxy Hezbollah - Strategic Penetration to Latin America," Elcano Royal Institute Working Paper, Madrid, 18/2009, April 8, 2009, at http://www.realinstitutoelcano.org/ wps/portal/rielcano_eng/Content?WCM_GLOBAL_CONTEXT=/Elcano_in/Zonas_in/DT18-2009. Samuel Logan, "Iran’s Latin America Inroads," Center for Security Studies (CSS), ETH Zurich, INTERNATIONAL RELATIONS AND SECURITY NETWORK INTERNATIONAL RELATIONS AND SECURITY NETWORK April 29, 2009, at http://www.isn.ethz.ch/isn/Current-Affairs/Security-Watch/Detail/?lng=en&id=99532. "Ahmadinejad to visit Brazil on May 6 ," AFP, May 1, 2009. Senhor_do_Servo, "As mentiras que eles contam," Estado Anarquista website, April 21, 2009, at http://www.estadoanarquista.org/blog/?p=1704. See the site at http://almusawwir.org/resistance/. 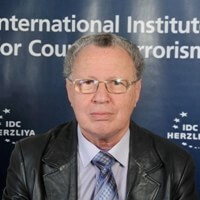 Bill Cecil, "Anti-imperialists unite at Beirut Forum," International Action Center website, January 21, 2009, at http://www.iacenter.org/palestine/beirut-forum012509/. César Montúfar, "El reciente acercamiento diplomático entre Ecuador e Irán ¿Gesto de afirmación soberana o tibio alineamiento geopolítico?" Draft paper prepared for the Conference Iran in Latin America: Threat or Axis of Annoyance, Woodrow Wilson International Center for Scholars, Washington, D.C., July 10, 2008. "Estudiantes iraníes muestran su oposición a Ahmadeniyad (y a Hugo Chávez)," Noticias de Irán en Español, at http://noticiasdeiran.blogspot.com/2008/12/estudiantes-iranes-muestran-su-oposicin.html, December 19, 2008. Torab Saleth, "Islamic revolution or counterrevolution," Weekly Worker, No. 756, February 12, 2009, at http://www.cpgb.org.uk/worker/756/islamic.html. Yassamine Mather, "Iran: after the revolution," Index on Censorship, January 30, 2009, at http://www.indexoncensorship.org/2009/01/30/iran-thirty-years-on/. Peter Tatchell, "Support the Iranian people, oppose Tehran’s clerical fascism," Red Pepper magazine, April 27, 2009 http://www.redpepper.org.uk/Support-the-Iranian-people-oppose. This sub-chapter is based on Ali Akbar Mahdi, "Wake-up call. The student protests of July 1999," The Iranian, July 3, 2000, at http://www.iranian.com/Opinion/2000/July/Students/index2.html. "July 1999 Uprising and Student Movement's recent Developments," SMCCDI Public Statement, July 8, 2004, at http://daneshjoo.org/article/publish/printer_3205.shtml. Iraj Gorgin, "Looking Back At Tehran's 1999 Student Protests," Radio Free Europe/Radio Liberty, July 9, 2008, at http://www.rferl.org/articleprintview/1182717.html. "Free the detained Iranian student activists!," Education Not for Sale website, December 18, 2007, http://www.free-education.org.uk/?p=424. Education Not for Sale is a network of anti-capitalist students founded in September 2005. Committee for Freedom of Political Prisoners in Iran, January 27, 2008, at http://studentsfreedom-campaign.blogspot.com/2008/01/committee-for-freedom-of-political.html. The Committee for the Freedom of Political Prisoners in Iran, December 2, 2007, at http://bataillesocialiste.wordpress.com/2007/12/04/protest-the-arrest-of-students-in-iran/. See a long list of arrested leftists students at this address. "Execution of a teenage girl," BBC News, 27 July 2006. "UN Secretary-General Urges Iran to Improve Human Rights," VOA News, 21 October 2008. "Demand the immediate release of political prisoners in Iran, support the prisoners on hunger strike in Rejayi-Shahr prison," petition at http://www.petitiononline.com/RI5167/petition.html. Tatchell, Support the Iranian people, oppose Tehran’s clerical fascism. "Messages of solidarity to Hopi launch conference," HOPI website, December 2007, at http://www.hopoi.org/conference/solidarity.html.